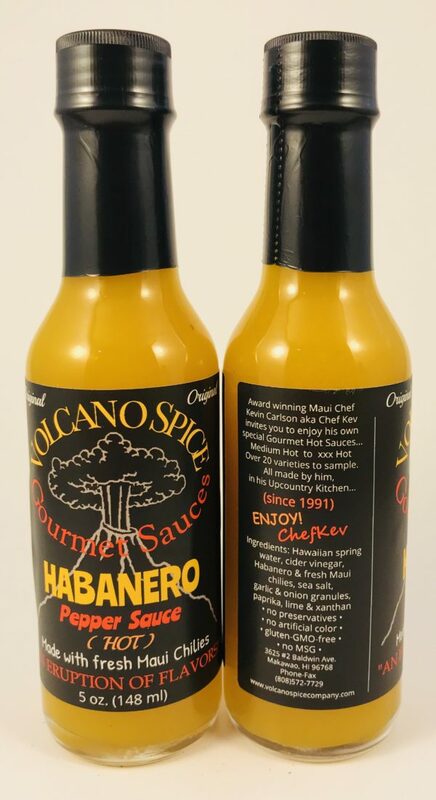 Volcano Spice Habanero Pepper Hot Sauce are Made on Maui and have the perfect balance of flavor and heat. Ideal for all meals from breakfast to dinner, meats, poultry, seafood and veggies. 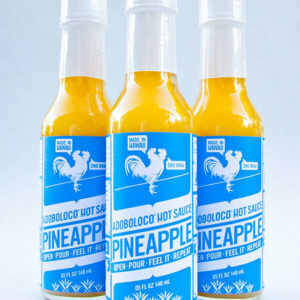 Ingredients: filtered water, Habanero chilies, orange bell peppers, cider vinegar, sea salt, onion, garlic, Maui chilies, lemon zest, lime zest, tumeric & xanthum gum. With a smooth even heat. Hot… but not to hot….